You do not have to apply vit. C every day. Every second or even third day will do. Alcohol is too strong. Alcohol is required for disinfection but it dries out the skin. Antibacterial gel will also contain a harsh ingredient – anything with the capacity to kill bacteria (apart from antibiotics) will not be overly gentle to the skin. Do you use shower gel on your face when showering? If you do, then apply vit. C right after the shower. A warm shower without using any gel will actually rinse off most creams except for really heavy ones. If you saturate your skin with vit. C before the dermarolling day, there is no need to apply vit. C for about three days after dermarolling. Vit. C stays in the skin for several days and its levels will slowly diminish. Dermarolling / Microneedling / What size needle to use on a birthmark? Lemon skin juice is too mild an inhibitor to do the job. It can help with the maintenance but for the initial lightening you will really need a stronger-acting inhibitor, such as hydroquinone. The best is to use both but do not mix them together. Use them in turns. Dermarolling / Microneedling / Not advisable do sports after dermarolling? No, it doesn't affect the results but it is not a good idea to do really exhausting, perspiration-provoking exercise immediately after dermarolling with long needles - for example rolling your entire abdomen with a 1.5 mm dermaroller and immediately go running a marathon or do sport or anything that involves getting the rolled area dirty, injured or touched. The skin is inflamed for an hour or two after dermarolling with long needles; it is vulnerable and is slightly prone to infection so you should just treat it accordingly. I don't think there is any problem with mild exercise as long as you do not touch the rolled area and it is not in a dusty or dirty environment. If you get scabs (they sometimes form after needling or stamping). Do not pick on the scabs - it could cause scarring. Let them fall off naturally. Do not use anything that can make the scabs fall off prematurely- such as exfoliation, massage, friction during exercise etc. Do not use Tri-Luma. It contains a corticoid (anti-inflammatory) which can be useful in Melasma but you should never apply corticoids on your skin if there is no very good reason for it. Try to find a hydroquinone cream that also contains Tretinoin. The problem with long lasting hyperpigmentation in Melasma, café-au-lait spots and other melanin related pigmentation is that the root cause of the pigmentation is unknown. It is caused by local overproduction of skin pigment melanin by pigment producing cells (melanocytes) but nobody knows why melanocytes produce an excessive amount of melanin in certain places. Thus, you cannot treat the cause but only the symptoms. That is why fighting hyperpigmentation is so difficult. Do not use hydroquinone for extensively long periods and give your skin a break after about three months of usage. Elure contains an enzyme that breaks down existing pigment. Hydroquinone prevents formation of a new pigment. The light frequency used in a "vascular" laser is absorbed by the red hemoglobin in the blood, this absorbed energy heats up the blood vessels so much that the dilated vessel gets sealed or evaporated. It causes a degree of thermal trauma to the skin and you should wait until it is completely healed before you stamp it. I would say about three weeks. If you decide to stamp your scars prior to the vascular laser treatment, let the skin completely heal before you do the laser. If it is a gel, you can use it on your skin. 63% ethanol is completely sufficient but do not soak the roller in the gel to disinfect it after dermarolling. The gel will stick to the needles and it will be difficult to remove. You should really try to find gel-free ethanol or a mixture of isopropanol (not more than 40% isopropyl) and ethanol to disinfect the roller. Yes, your choice is very good! Regarding broken capillaries (telangiectasia), the needles are likely able to reach them, as broken capillaries are in the dermis but there is no problem with it. You will certainly not get bruises. Some pinpoint bleeding is completely normal while needling or stamping whether one has or doesn't have broken capillaries. Dermarollers are advertised on many sites as being able to improve broken capillaries but we do not have a single customer who reported improvement of broken capillaries, neither did I manage to improve mine with dermarolling..
Dermarolling / Microneedling / Singleneedling - pricks per inch ? The skin on the body should be pricked more densely than the face. Facial wrinkles should be needled in a line, spot for spot (roughly two pricks per mm). If it heals OK, next time, you can needle the wrinkle spot for spot and when you finish, go over it one more time in the same way or less densely. Be conservative on your first session. Always start slowly and see how your skin reacts and how it heals. Don't forget to lift the dermaroller after each pass on your face to prevent rolling exactly into the same holes. Rolling back and forth without lifting the roller is OK for skin on the rest of the body but on the face you should lift the roller after each roll. Scars any other place than on the face such as stretch marks, surgical scars, injury scars etc. should be needled really densely, crushing the hardened collagen. If your mark is vascular, a dermaroller will not help. A dermaroller cannot seal the diluted blood vessels. You will have to have a vascular laser done. The laser light is absorbed by hemoglobin in the blood, this absorbed energy heats it up and the heat seals the blood vessel. If you marks are melanin-pigmented, you can buy a 1.5 mm dermastamp, stamp the mark superficially three times a week (no need to insert the needles deep into the skin) and apply melanin synthesis inhibitors (also called tyrosinase inhibitors) such as hydroquinone cream. Clean a lemon skin very thoroughly. Using a fork, make the skin leak its juice and apply it on your pigmentation. Cover it with plastic foil. Follow this procedure several times a week. If it irritates your skin, stop using it. 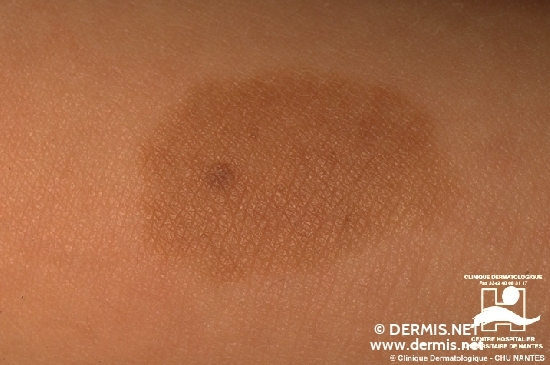 Pigmented spots can also be improved by a laser that targets/ heats up melanin. It sometimes reapears. Protect your stain from the sun. Sun exposure induces melanin production (melanin is our natural UV filter). Dermarolling / Microneedling / Scientia said to sterilize their rollers in salt solution and it affected the rollers! Yes because all that matters is inflicting the microinjuries. You can check it by rolling. Let us know if the rollers' needles penetrate the same as they did before the mishap. Brine (which is salt water - Sodium chloride in water) attacks stainless steel as well so Milton liquid is totally unsuitable to disinfect a dermaroller with, because it will attack the stainless steel needles. The needles would perhaps still be usable, although I suspect they're blunt now. Scientia seems perhaps like a big company due to their successful search engine tricks, making them appear at the top of most searches for dermarolling topics, but Scientia is in fact owned by a single individual - a seemingly very immature young man from somewhere in SE Asia, based on the content of his emails to us, his illegal behavior in violating Copyright laws and the way he runs his business, and his business registration/site registrations. He has been sending us childish unsolicited emails such as "You are being watched". He has been stealing our pictures, entire paragraphs of our text and sections of our dermarolling instructions. It has gotten so bad that we had to complain to the web host of one of his many sales websites for gross infringement of our Copyright, and that site was shut down immediately. All I can say is: Do not buy from him (Scientia). This person is not knowledgeable about dermaneedling. He is a very shrewd online marketeer, that's all. Most of the dermaroller vendors out htere have no clue what they're doing, not even many large and "respectable" ones, because those (such as White Lotus) are either firmly rooted in pseudoscience instead of medicine and claim dermarolling can increase breast size etc., or they just don't have a department that does customer support (such as Dr. Roller - they make great rollers but their rollers are just a tiny fraction of the output of a huge faceless corporation so you'll have to rely on a reseller for info and support). It seems that 99% of anyone selling trendy merchandise such as the quite novel dermaroller is a scammer in some way or another. It is hard to compete against such internet-savvy people, except on knowledge, dedication, customer service. But they always dominate the Internet with their army of paid spammers, their search-engine-optimization tricks, their many websites with promises of miracles etc. They spend all their money and effort on sales, with YouTube videos and professionally designed banner ads everywhere. They should do their homework instead and read medical literature instead of spamming forums..
We don't advertize, we don't post on forums, we are not marketing experts but we are committed to help our customers achieve results and we stand for our products and service. We are not always perfect but in such a case as what happened with your rollers, we would immediately refund you and send you a replacement free of charge. I'm interested what the Scientia guy replied when you asked for a refund due to his incompetent advice? Dermarolling / Microneedling / Best treatment for this kind of acne. I wish my French was as good as your English! There really is no need to have the dermarolling done by a dermatologist. You can safely do it yourself. You seem to have a mixture of boxcar- and rolling scars. Boxcar-type of depressions are caused by tissue atrophy resulting from long-term inflammatory damage due to acne. Rolling scars are caused by the epidermis being pull down to the subcutaneous layer by fibrous bands. I would recommend a combination of a 1.5 mm dermaroller, a 0.5 mm dermaroller and the single needles. Once every three to four weeks, use the single needles on your deepest scars and after that, roll your entire forehead densely with the 1.5 mm dermaroller. All in one session. Roll the whole forehead twice a week with the 0.5 mm dermaroller. Please remember to give us your feedback on your results. We get many emails from customers saying that dermarolling/dermastamping/needling improved their acne scars, usually after at least a year of monthly rolling sessions. Unfortunately, nobody sent us any before and after photos as of yet. About a year ago I told my husband that one day I would like to needle acne scars (he has just a few) on his forehead and photo-document the process of improvement. He faintly nodded (to get rid of me). Some days ago I took the single needle and tried to catch my husband who saw the needle and promptly ran away. He said: "no way I am going to go through such an ordeal just because you need a photo. Find yourself another victim". Sigh. Washing the skin with a good cleanser before dermarolling with a 0.2 mm roller is enough but you have to clean the 0.2 mm dermaroller after rolling to remove skin oils and debris. Rinse the roller under running water, then soak it for a short while in a tupperware box with lukewarm water with dishwashing liquid, shake the roller a little (be careful not to hit the walls of the box, but if you don't hit them too hard it doesn't matter because the soft plastic won't blunt the needles). Do not forget to rinse it again under running water to rinse off the detergent and let it dry in a clean place. The whole procedure will take just a minute or two. We sell Chloramine-T for roller disinfection. Young skin without acne does not need Tretinoin cream so it does not matter that you do not have it. (1) before dermarolling, respectively on the days that you do not roll. And (2), (3) and (4) after dermarolling, There is no need to use all of them after dermarolling. You can use (2) and (3) at the same time but do not mix it with (4). Use (4) separately the next time after dermarolling. So keep using the acidic form (ascorbic acid) as well since this form did increase the levels in the skin. Last but not least: There has been a lot of prejudice directed towards preservatives but there is no inherent reason for that because preservatives are not harmful per-se. A common preservative is vitamin C, to give just an example. And the human body is literally packed with preservatives (natural antioxidants etc.) Preservatives are necessary to prevent bacterial or fungal growth in food or creams. Preservative-free creams should be stored in the fridge and used up quickly. Dermarolling enhances skin care creams' penetration into the deep skin layers and using an old preservative-free cream that hasbeen touched many times is not such a good idea. Creams in tubes do not get contaminated by the hands so if you could fill your DIY cream into a tube, it would be optimal. It is OK to apply a DIY cream from a jar but always prepare just a small batch and use it up quickly. Otherwise add some preservatives. Stating that something has no side effects because it is natural is a logical fallacy, and the same with saying that something is harmful because it is artificial.